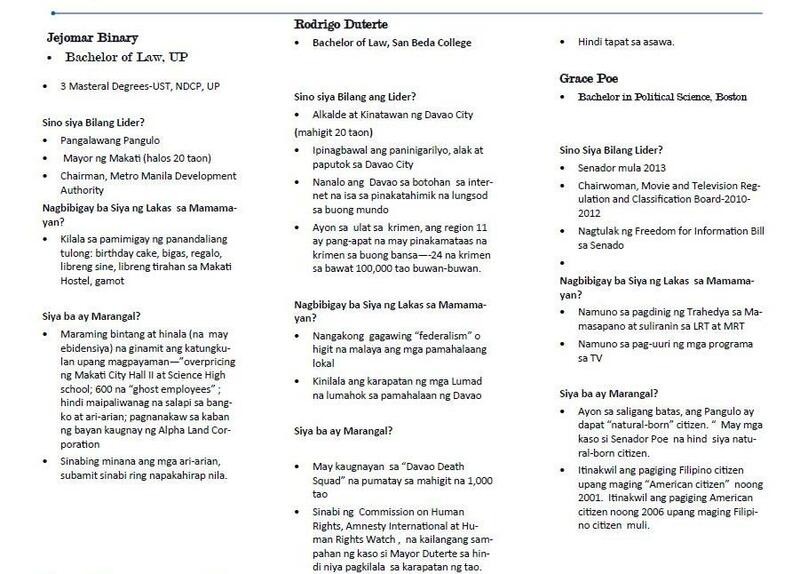 “This scorecard helps Filipinos regardless of social class and background to evaluate candidates in terms of whether they are fit for public office. It enables voters to critically think through all the information, jingles, and gimmicks thrown at them by political campaigns,” says Prof. Solita Monsod, MGG Chair. The MGG Scorecard uses three equally vital leadership criteria and simple guide questions. It looks at a candidate’s effectiveness, or their ability and track record to perform their duty; empowerment, or a candidate’s ability to unite and engage stakeholders to develop and implement policies and programs that meet genuine needs of the populace; and, ethical, which affirms the need for the candidates integrity and character. The scorecard may be downloaded from the MGG website and will be disseminated to key cities and communities up to election day. 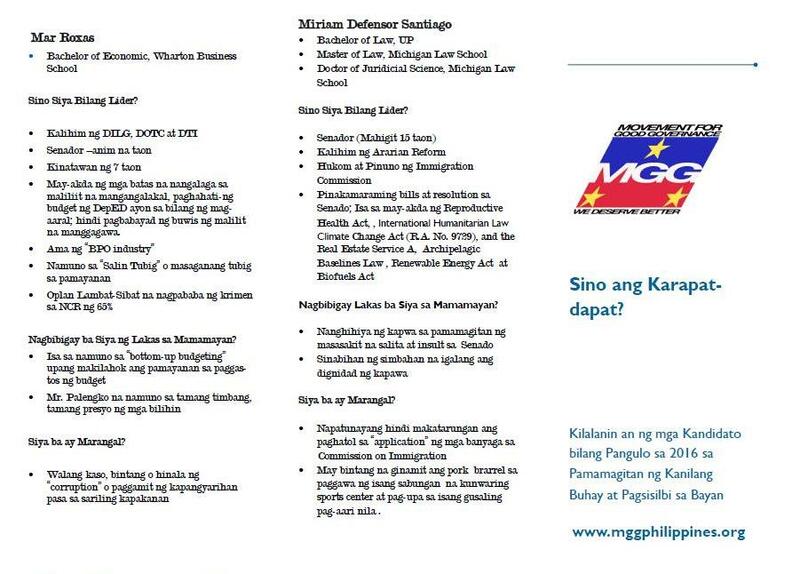 MGG has been promoting the use of its scorecard since the 2010 elections.